The Hamilton Education Program selected IDEA as one of eight schools whose students performed original works related to American history. 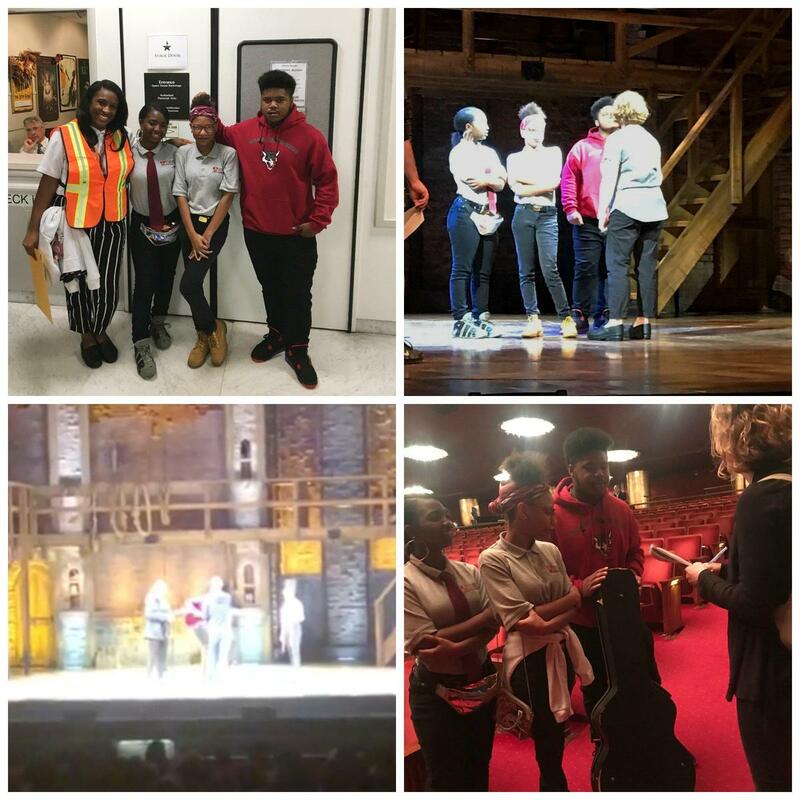 Before seeing Hamilton, IDEA's own Anthony Contee, Tyreka Latimore, Stefeni Pratt performed on stage at the Kennedy Center, sharing Anthony's song “Own Nation” about the Boston Tea Party. IDEA was selected to perform by the Hamilton Education Program. Pictured here: the performers with their English teacher Ms. Hinds, the performers on stage before their song, the performers singing, and the performers being interviewed by a Washington Post reporter.